Located in Lawrenceburg, Miller Flannery Law LLC proudly serves clients in Dearborn County and throughout southeast Indiana. Our firm is a collaboration between two lawyers, Alan Miller and Adrienne Flannery, who are siblings as well as business partners. No matter what legal issue you may be facing, it is likely causing you stress and worry. The good news is that we are here to help. Our practice is client-focused, offering compassionate and non-judgmental representation. The majority of the time, we handle cases personally, which ensures that your case gets the attention and legal skill it deserves. For your convenience, Miller Flannery Law LLC offers offsite visits by request. We visit homes, hospitals, nursing homes, jails and other locations to meet clients where they are, when they need us. 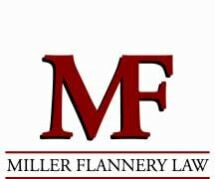 To learn more about our practice and to take advantage of a free initial consultation, contact Miller Flannery Law LLC today. Monday through Friday, 08:00 A.M. to 04:30 P.M.